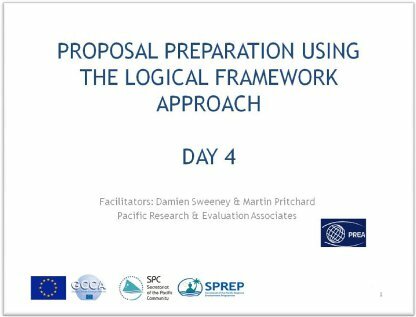 Introduction to the using the Logical Framework Approach to inform Proposal Preparation Project. 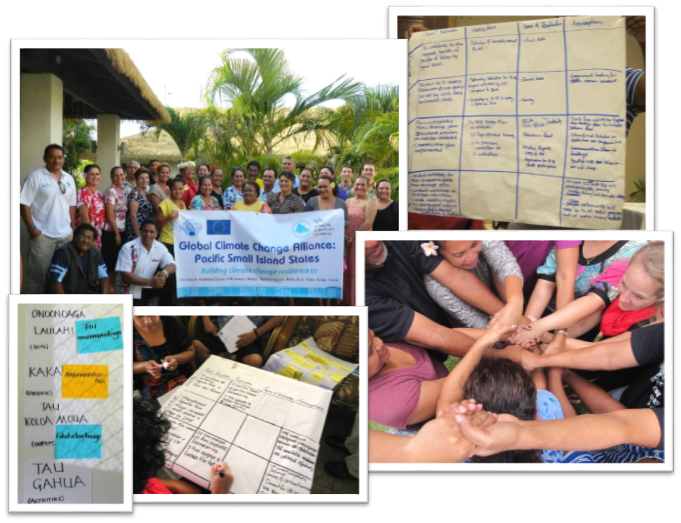 The Global Climate Change Alliance: Pacific Small Island States (GCCA: PSIS) project is a four year intervention which started in 2012, is funded by the European Union (EU) and implemented by the Secretariat of the Pacific Community (SPC) in collaboration with the Secretariat of the Pacific Regional Environment Programme (SPREP). The overall objective of the GCCA: PSIS project is to support the governments of nine Pacific smaller island states, namely Cook Islands, Federated States of Micronesia (FSM), Kiribati, Marshall Islands, Nauru, Niue, Palau, Tonga and Tuvalu, in their efforts to tackle the adverse effects of climate change. The purpose of the project is to promote long term strategies and approaches to adaptation planning and pave the way for more effective and coordinated aid delivery on climate change at the national and regional level. 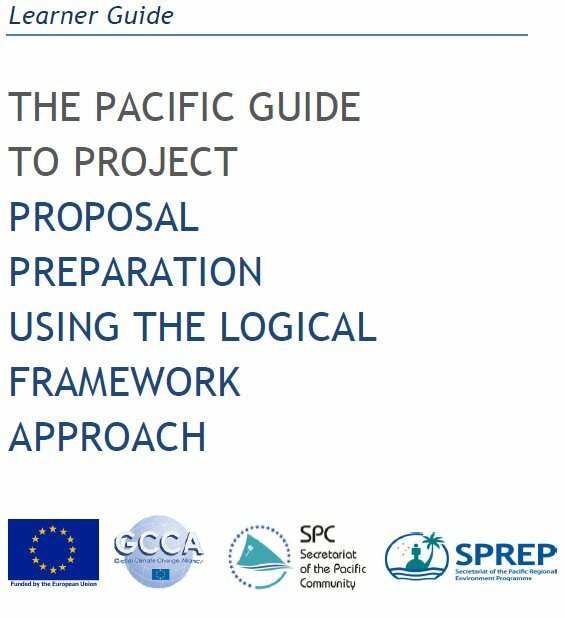 The nine countries expressed their interest in having a national training workshop on project proposal preparation using the logical framework approach to strengthen the capacity of national governments to access climate change adaptation funding. This Logical Framework Approach (LFA) training project responded to that expressed need. 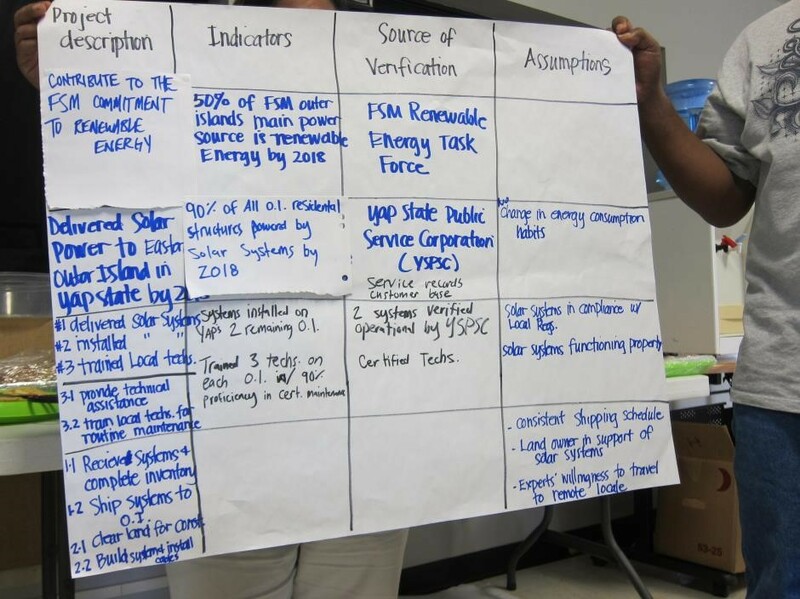 Pacific Research and Evaluation Associates (PREA) were contracted to develop training resources (download here) and deliver the workshops in the nine countries, including workshops in the four FSM states (Pohnpei, Chuuk, Yap, Kosrae). The final workshop was delivered in March 2014. Each training session was delivered by two facilitators over four days. A sample workshop agenda can be found here. Training delivery included a mix of informative presentations, large group activities to demonstrate new knowledge and skills followed by small group activities where participants were challenged to use the knowledge and skills for real-life project ideas they wanted to develop. 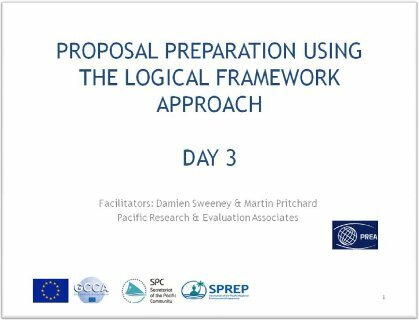 This delivery method facilitated the development of skills and the confidence to put them into practice, either in proposal preparation or in general work duties. Participants were provided with a learner guide, copies of slides, and electronic resources on a USB drive. The most recent Training and Learning resources are provided on this webpage. The training and learning resources that formed the LFA training project are provided below for the use of government and NGO staff in the nine participating countries, as well as other countries that wish to use the resources to help build capacity in project design and proposal preparation. The presentation slides cover the four days of training. The learner guide complements the presentations slides and the activities in the training workshop. 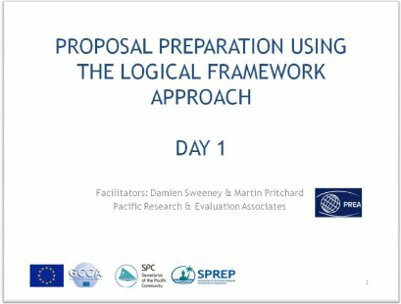 The guide can be used as a stand-alone resource on using the LFA in proposal preparation. An impact evaluation of the training workshops was conducted between three to eight months after each using an online questionnaire and some phone calls. There were 103 respondents to the impact evaluation. Overall the LFA training appears to have been successful in building the skills and knowledge of participants to enhance their confidence in the use of the LFA, and supporting participants to submit logical and well structured project proposals. It is not possible to attribute the development of the funding proposals or their success in obtaining funding with the LFA training. However, when considering participant feedback, it is clear that the training has built the capacity of participants to design better projects and write better proposals. Number of participants trained: 291 across 9 countries (12 workshops, with one workshop in each of the 4 FSM States). Number of proposals submitted: 54. 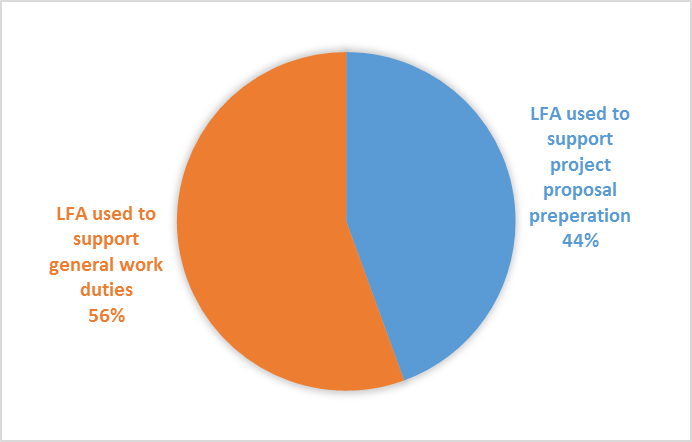 Forty six of the proposals submitted used the LFA. Thirty one were successfully funded and twenty two are still awaiting confirmation. The total value of all proposals was USD$89,052,000. Whilst this dollar amount is very high, one project for USD$75 million is attributed to one proposal from Pohnpei for pre-fabricated housing from China. 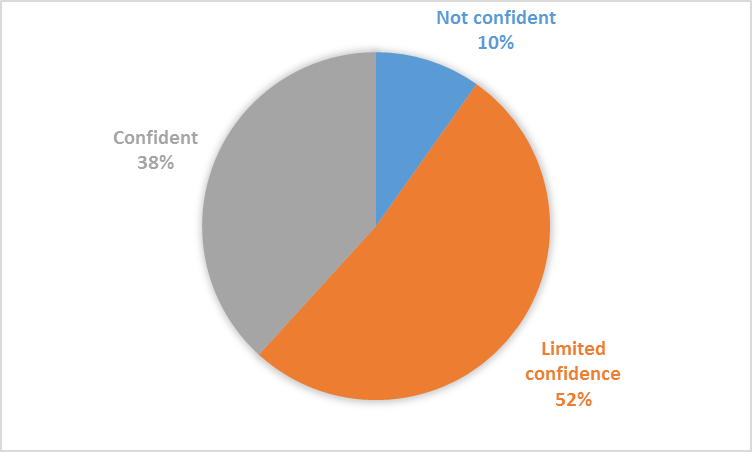 Overall, the level of confidence in undertaking the main steps of the LFA- stakeholder analysis, problem and solution tree and logframe matrix is satisfactory or higher. This also reflects the components of the training that were dedicated the most time (most of the first three days). A number of countries demonstrated better results than others. 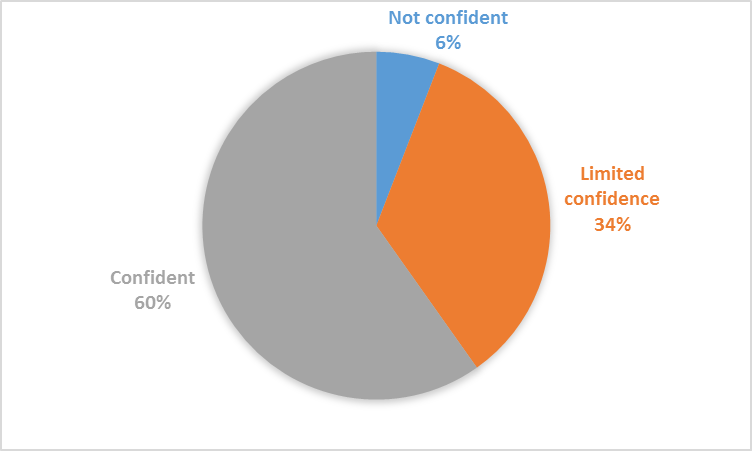 Most respondents (52%) to the LFA impact evaluation survey indicated they had limited confidence in writing proposals. 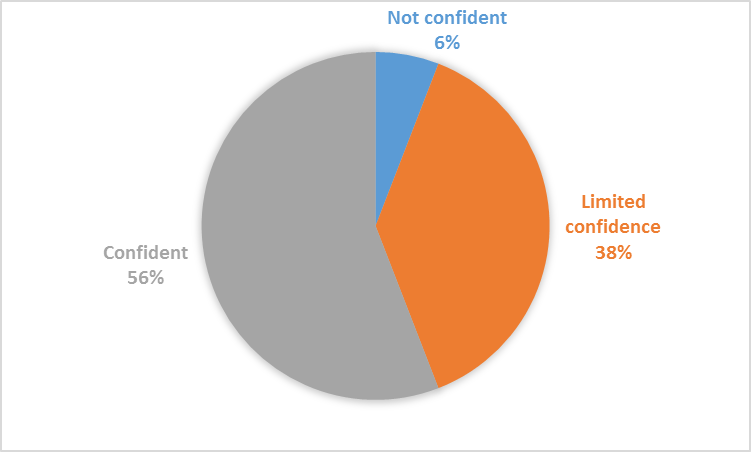 This result is relatively satisfactory, as the time spent on writing proposals was limited to one-third or less of the last (fourth) day of training. 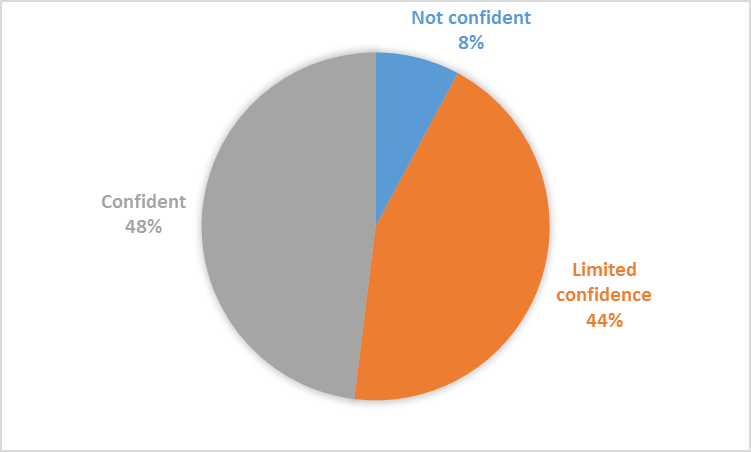 Overall, respondents reported that the LFA steps had been used more often in performing their general work duties (used 243 times) compared to developing a project proposal (used 210 times). This demonstrates that the LFA training has built capacity of staff not only in proposal preparation but also in the performance of their role in government, or other sectors. This emphasises the benefits of the LFA process in planning for both work (e.g. strategic planning) and proposal preparation. As such the investment in the training programme has brought wider benefits than intended. To book an LFA training session for your organisaiton, contact PREA.